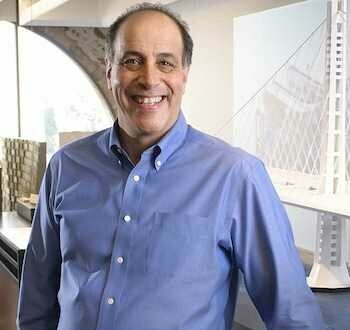 Carl Bass, CEO of Autodesk. Credit: Wikipedia. Carl Bass, president and CEO of Autodesk, has penned an excellent post on Wired about both the limits and the opportunities of 3D printing. Bass is high on 3D printing, but also realistic, and his article attempts to tamp down some of the — in his opinion — overly optimistic projections that exist in the media and elsewhere. He takes on the idea that 3D printing will replace other manufacturing technology. He’s right, it certainly won’t. Yet. There is no time frame in his statement. Obviously, someday — whatever that day is — it will. Much has been said in the media about how 3D printing will bring manufacturing back to the United States. Given his comment on 3D printing not replacing other manufacturing, of course Bass doesn’t think this will happen. The current business model is also on his hit list. And the problem with the current model is simple: the cost of materials. It’s just too expensive to do anything at scale. Yes, it is now. But what will it be in ten years? We know we’re not there yet. But these are only his negative points. He’s very high on how 3D printing will expand into limited production, for example. And he’s positive about bioprinting and the 3D printing of electronics. While the hype paints visions of limitless replication — lost components, shoes, body parts, musical instruments, even guns — here’s a key fact: Where 3-D printing may be unfettered by complexity, it is constrained by volume. Everything from cost and time to amount of material increases exponentially: specifically, to the third power. So if we want something twice as big, it will cost 8 times as much and take 8 times as long to print. If we want something three times as big, it will cost about 27 times more and takes 27 times longer to print. And so on. As a counterpoint, you might want to read our article, Paul Brody of IBM: the rise of 3D printing is exponential. Read Mr.s Bass’ article at Wired.